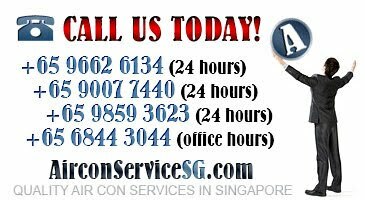 Aircon Singapore: How To Save Energy For Your Aircon? How To Save Energy For Your Aircon? 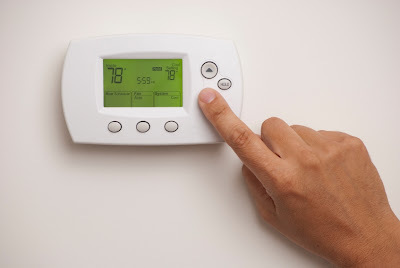 Though you can save energy for aircon during off season by not turning it on but you will have to search for aircon saving tips when the humidity and temperature rises in Singapore in summer and you will be compelled to turn your aircon on. Some of the energy saving tips are provided in this article to guide you in this direction. Turn your aircon down at night: At night while sleeping you can turn down your aircon as level of cooling needed during day is not required at that time. Close the vents: You can save energy for aircon by closing the vents of the room to retain the cool air within the room. Usually basement is considered as the coolest room of any home so you can also use them to keep yourself cool with closed vent and aircon at lower level of cooling. Use of portable or window air condition: You can use window or portable aircon to save energy if you do not need to cool the whole of your home. You can use them when and where you need them. Ensure the working of ducts: If the ducts of your air conditioner run through the non air conditioning parts of your home you can save energy by checking their insulation frequently. If the insulation is not proper your aircon will need more energy to provide you required cooling. Service of aircon: Regular and frequent servicing pf your aircon will also help you in saving lots of energy as dust and dirt from the environment may choke its filter which will make it difficult for your aircon to work smoothly with lesser energy. Control the lighting in the room: You can reduce the heat in your room by turning off the lights if they are needed for some particular work. You can also control the sunlight coming from windows as heat also comes in your room with sunlight. Reorganize your furniture: If your furniture is obstructing the way of cool air coming from your aircon then you will not be getting the coolness needed by you. In such condition you should reorganize your furniture to clear up the way of cold air from aircon to reach you directly. Remember about your fans: Though with the rise of humidity and temperature in Singapore everyone wants to use aircon to be comfortable but if you use your fan along with aircon to circulate its air to every nook and corner of the room then you can get better results with low energy consumption by you aircon. Use the blinds on windows: If you are going out and no one is there to use the cooling of aircon then you should raise the temperature of your aircon and close the drapes and blinds and the windows to maintain the cooling in the room and save some energy for aircon. Thus by following energy and aircon saving tips provided in this article you can save energy for aircon in abundance. Do We Really Need To Topup Up Aircon Gas? How Does Aircon Overhaul Work?